Anyone still making Christmas cards? 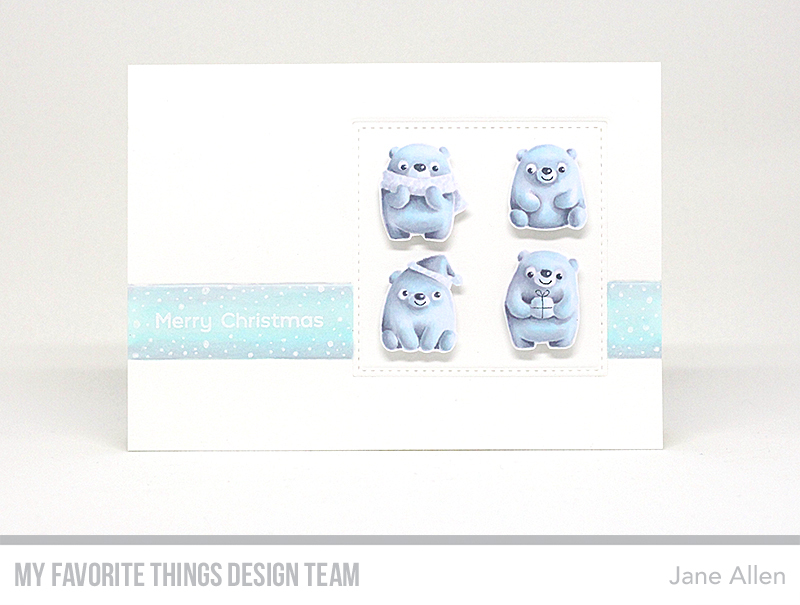 The Bitty Bears were stamped with Hybrid Grout Gray and coloured with pale blue and grey Copic markers on Copic suitable card. 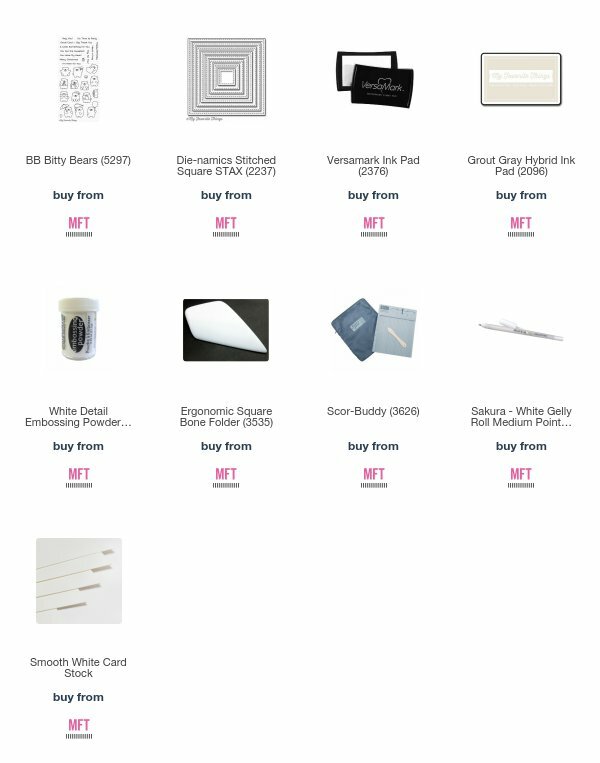 The A2 card was made with MFT Smooth White cardstock. It was then dry embossed using a Stitched Square die on a die cutting machine. The lower band was manually drawn with a ruler and embossing tool. This area was then coloured with Copics to create faux ribbon. Once dry, the sentiment was stamped with Versamark ink and heat embossed with White Embossing power. For a final touch, snow-like pattern was created using a white gel pen. To add a little dimension and interest to an otherwise plain card the bears were mounted on to the card with foam squares. 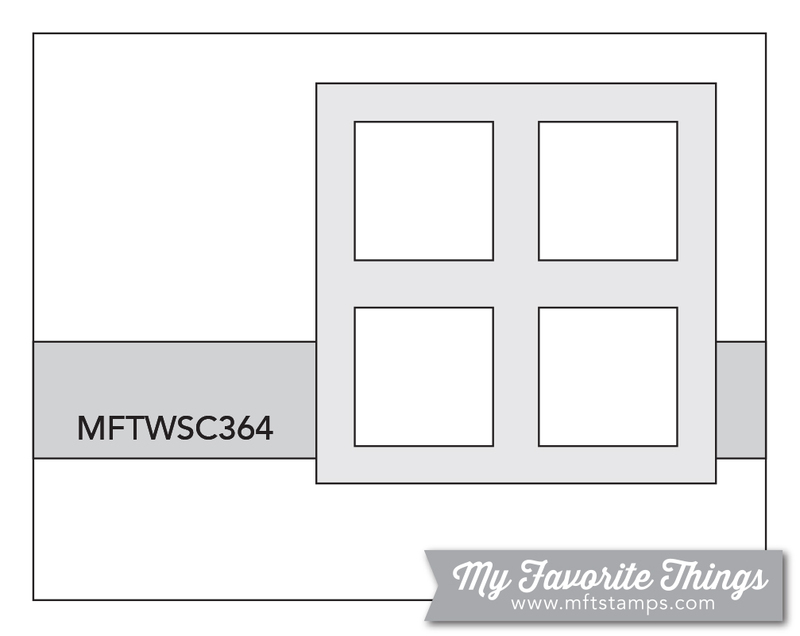 Here is the sketch so that you can play along and maybe you will be the lucky winner of the $50 MFT voucher. Thanks for dropping by and good luck to all who enter. Yes, I'm absolutely still making Christmas cards and tags! It's the Christmas season, so I can't be thinking of the next holiday! Your bears are adorable and I like the colors you chose. As aways, your coloring is beautiful.